Watch out! A couple of recent articles in The Atlantic dish out some misleading histories of Fundamentalist America. It would be easy for those of us trying to understand FA to be confused. First, let me say that I get it: Fundamentalist America is not easy to understand. As Kevin White has noted recently on Mere Orthodoxy, this is true even for those who consider themselves FA citizens. Even among only conservative evangelical Protestantism, we can be dazzled and confused by what historian Timothy L. Smith called the “kaleidoscope” of American evangelicalism. Once we add conservative Catholics, cultural traditionalists, Burkean conservatives, free-market ideologues, etc. etc. etc…., mapping out a sensible understanding of Fundamentalist America can seem like an overwhelming task. For those raised in the traditions of Tradition, this kaleidoscope can be bewildering. And it can be even more so for those of us trying to understand Fundamentalist America from the outside. I understand this difficulty. I sympathize. In the case of the recent articles in The Atlantic, neither author set out to mislead. Unfortunately, each of them got it wrong. There is some truth to this, but only if we understand it in a very limited way. Only if we put the emphasis of this entire paragraph on the word “partisan” does this give an accurate impression of the history of activism by religious conservatives. A sensible reader might read this paragraph and conclude that it was not until 1979 that religious and cultural conservatives “flooded the public square.” A reader might think that only the “blitzkrieg of social changes” from the late 1960s and 1970s spurred religious conservatives to public action. This is a woefully misleading impression of the nature of conservative religious activism in America. Even if we leave out the enormously important “long history” of Great Awakenings, abolitionism, and temperance, we have a twentieth century chock-full of religious activists working to maintain a traditional Godly public square. And this activism did not differ in essence from that of later, post-1979 religious conservatives. 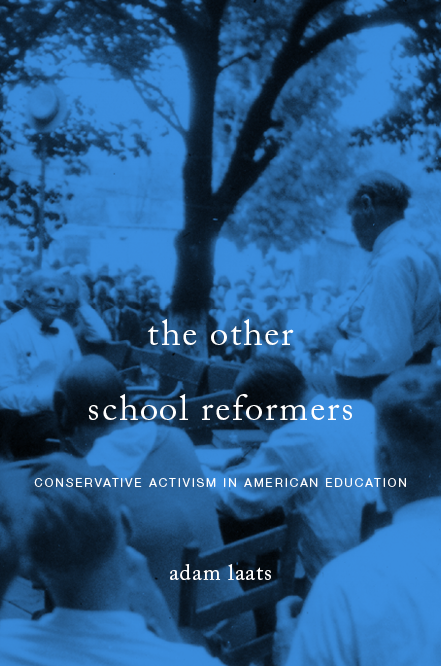 In the 1920s, for instance, the threat of evolution in public schools and the weakening of Biblical morality in public life spurred conservatives to action. In the 1940s and 1950s, conservatives’ perceptions of a rapidly changing social order gave rise to new organizations such as the National Association of Evangelicals, and culture-changing revival campaigns like those of Billy Graham. It is true that these cultural campaigns did not seize on partisan politics with vigor until the late 1970s. Most conservative Christian activists did not see themselves as working within the confines of the Republican Party until that time. But the implication that conservative religious folks had been somehow quiescent in earlier decades gives a very misleading impression of the history of Fundamentalist America. “I do think that in recent years disagreement over evolution has become more politically charged, more acrimonious, and that the rancor may be affecting other science-related policy areas, such as climate change. “A few decades ago, Darwinians and creationists had a de facto nonaggression pact: Creationists would let Darwinians reign in biology class, and otherwise Darwinians would leave creationists alone. The deal worked. I went to a public high school in a pretty religious part of the country–south-central Texas–and I don’t remember anyone complaining about sophomores being taught natural selection. It just wasn’t an issue. I take Wright’s point to be less about the history of creationism and more about evolutionists’ strategy. I agree that it will continue to be counterproductive for evolutionists to insist that evolution and religion must be eternally at odds. As Wright concludes, “if somebody wants to convince a fundamentalist Christian that climate scientists aren’t to be trusted, the Christian’s prior association of scientists like Dawkins with evil makes that job easier.” Fair enough. Such aggressive evolutionism has been associated in the public mind with a combative anti-theism for as long as the public has wondered about creationism and evolutionism. In addition, Wright’s suggestion that creationists had tacitly agreed to “let Darwinians reign in biology class” until recently woefully misses the historical boat. Since the 1920s, conservative activists have worked energetically and consistently to make sure Darwin did not so reign. Most famously, the 1920s saw the issue come to a public head with the Scopes “Monkey” trial in Tennessee. But unlike the persistent Inherit-the-Wind myth suggests, creationists did not crawl back to their isolated hollers after that 1925 trial. It is notoriously difficult to know what goes on behind closed classroom doors, but the available evidence suggests that anti-evolution sentiment remained both powerful and polticially active in every decade of the twentieth century. One large-scale study in 1942, for example, asked thousands of high-school biology teachers about their teaching. The survey authors concluded that evolution was taught in “notably less than half of the high schools of the United States.” And of those schools in which evolution was taught, the study authors concluded that it was “frequently diluted beyond recognition,” either by pairing it with the teaching of special creation, or by the separation of human origins from the idea of organic evolution. Other studies found similar results. More recently, Michael B. Berkman and Eric Plutzer confirmed the continuing tendency of American teachers to avoid teaching evolution. Their study of 926 US public high school biology teachers found a sizeable minority (28%) who reported to teach evolution. It also found a smaller but still significant group (13%) who reported teaching creation. The large middle, what Berkman and Plutzer call the “Cautious 60%,” teach a mish-mash of creationism and evolution. One important reason teachers gave for skipping evolution is an understandable desire to avoid controversy. In other words, in twenty-first century America as in 1920s, 1940s, 1950s, 1960s, and 1970s America, anti-evolution sentiment dictated large percentages of education policy. Unlike the picture Wright paints, however, this is not a recent development but a generations-old cultural trend. The suggestion that recent Gallup poll data mark any significant change in America’s enduring trench lines in this culture-war front is misleading. My hunch is that neither of these authors hoped to use their misunderstandings of the history of Fundamentalist America as a weapon. My hunch is that both of them sincerely believe in the historical narratives they deliver. However, this understanding of the history of conservative religious activism in public life is not merely neutral. It promotes a myth that religious Americans in the past did not participate in politics; it suggests that recent conservative cultural activism represents a break from American traditions. Let me be clear: I do not object to this misuse of history because I disagree with the politics. I do not hope to promote the values or agendas of Fundamentalist America; I don’t want to offer my own slanted history in rebuttal. But I do object as an historian. If we hope to understand Fundamentalist America, we need to be honest and fair about its history. Suggesting that an activist conservative Christianity, or a defensive creationist community, are somehow recent developments distorts that history in pernicious ways. Further reading: Oscar Riddle, F.L. Fitzpatrick, H.B. Glass, B.C. Gruenberg, D.F. Miller, E.W. Sinnott, eds., The Teaching of Biology in Secondary Schools of the United States: A Report of Results from a Questionnaire (Washington, DC: Union of American Biological Sciences, 1942); Estelle R. Laba and Eugene W. Gross, “Evolution Slighted in High-School Biology,” Clearing House 24 (March 1950); Michael B. Berkman and Eric Pluzter, Evolution, Creationism, and the Battle to Control America’s Classrooms (Cambridge University Press, 2010); George M. Marsden, Fundamentalism and American Culture: The Shaping of Twentieth-Century Evangelicalism, 1870-1925 (New York: Oxford University Press, 2006); Joel A. Carpenter, Revive Us Again: The Reawakening of American Fundamentalism (New York: Oxford University Press, 1997); Ronald L. Numbers, The Creationists: From Scientific Creationism to Intelligent Design, Exp. Ed. (Cambridge: Harvard University Press, 2006).